Ocean Prime features live music in our piano bar! The music begins at 6:30 p.m., Thursday and Friday, and at 7:00 p.m. on Saturday. We create an extraordinary supper club experience serving the freshest seafood, prime steaks, handcrafted cocktails and world-class wines in a warm, welcoming atmosphere with genuine hospitality. 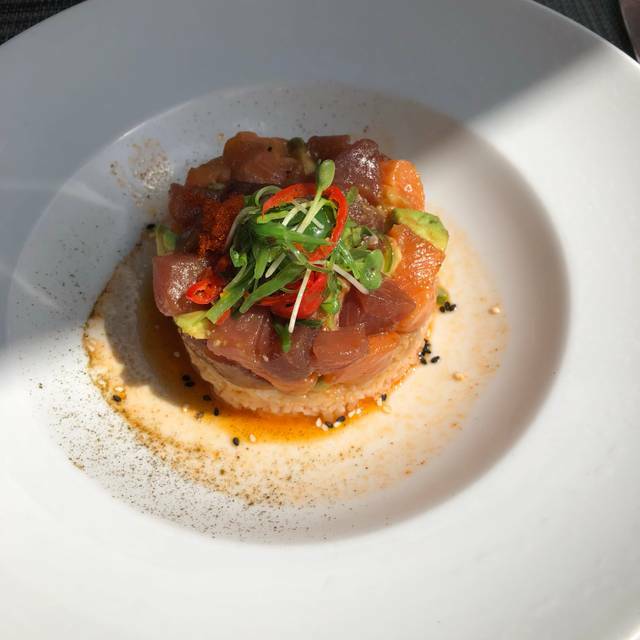 Our executive chef uses only the finest and freshest ingredients to create inventive preparations of traditional favorites. Made from scratch dishes showcase simple, pure and regional flavors, and our menu features an array of appetizers, salads, seafood, steaks, family-style sides and house-made desserts from refreshing ahi tuna tartar, jumbo lump crab cakes & tender filet to creamy black truffle mac and cheese, succulent Chilean sea bass and decadent ten-layer carrot cake. Our well-trained bar chefs handcraft exciting cocktails, including our signature cucumber gimlet and smoking berries & bubbles. With our red carpet hospitality, Ocean Prime is the perfect destination for cocktails after work, dinner before or after the theatre, business meetings, social gatherings & everyday celebrations. We had 2 steak eaters and 2 seafood eaters in our party and all of our dishes were excellent. 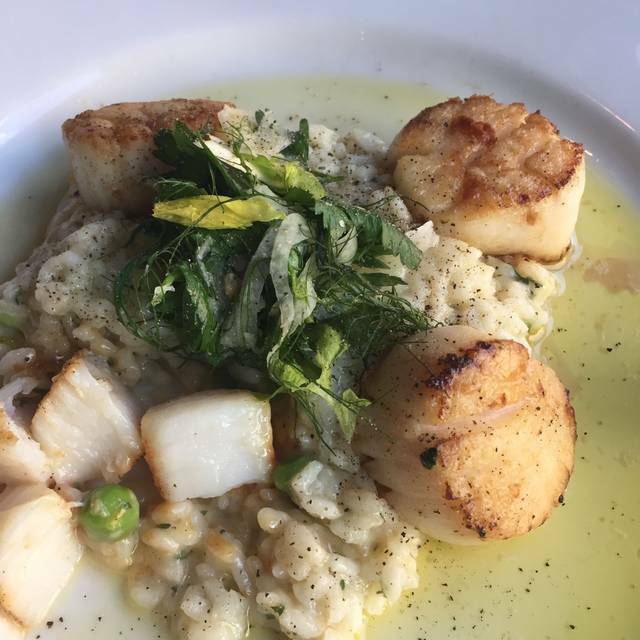 Our scallops with risotto, king salmon and filets were cooked prefectly. They have some fun cocktails on the menu. Our server was always checking on us (but not in an obtrusive way). 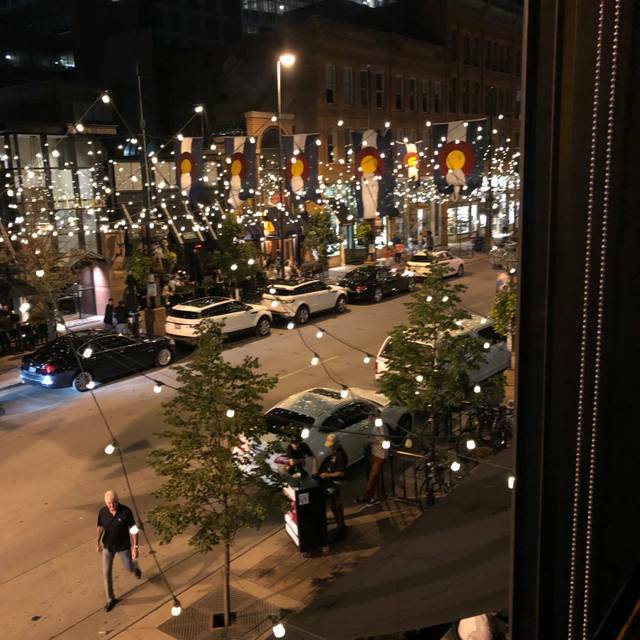 It is on the second floor and we had a nice view of Larimer Square. The decor is modern. Great spot for a holiday dinner. 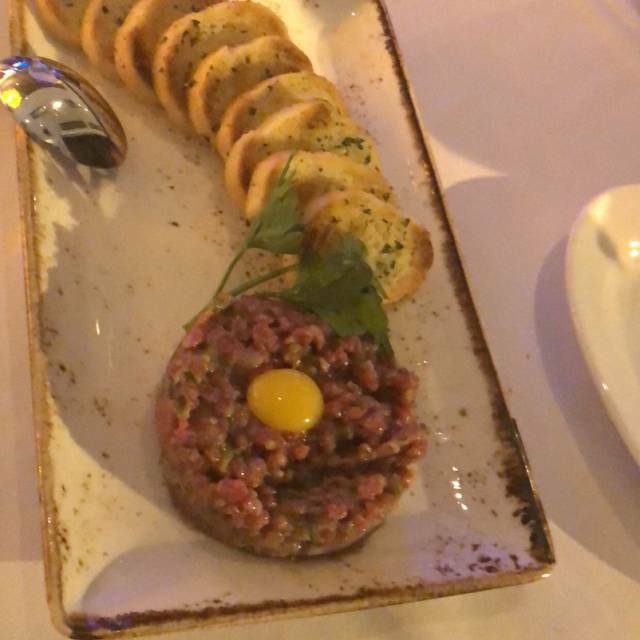 We came to Denver for a bachelorette party & chose Ocean Prime for our dinner and was not disappointed! The food was amazing, we were treated like queens, and our server was wonderful! Will definitely be back! Unbelievable food and service. Top notch. Our server was OUTSTANDING!! Very attentive to every detail. Perfect place to celebrate, great for a fancy date night too. 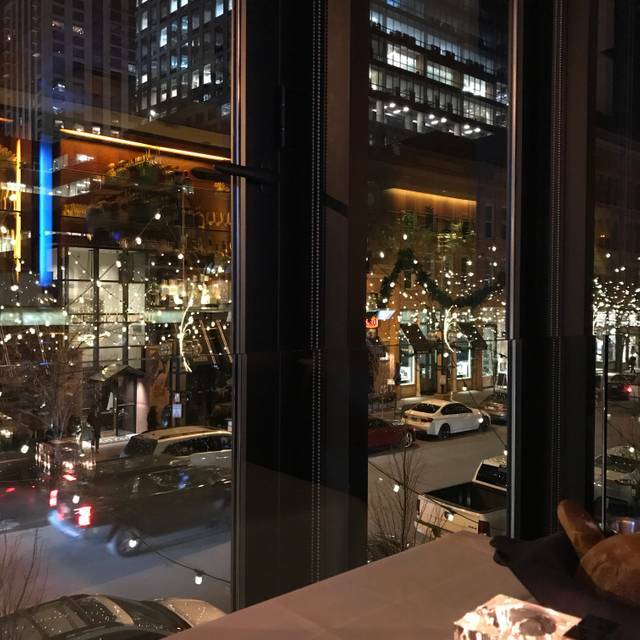 One of the best restaurant experiences that I've ever had! Ordered the mahi which was pretty much tasteless. Side we're good, atmosphere was nice. Kinda noisy Overall not a good place for coversation. Overall way over price for less the average food. Won't be back. Bread/baked pretzels arrived warm and perfect. Good recommendation on wine by the server. My husband enjoyed their specially made Manhattan. The lobster bisque was delicious and hot. I was disappointed in the $13 house salad, which arrived with rusty lettuce and limp greens. Our server was helpful with menu choices, but I didn't appreciate overhearing her admonish the bus boy for bringing us a second basket of bread. I ordered Florida grouper, my husband ordered sea bass. 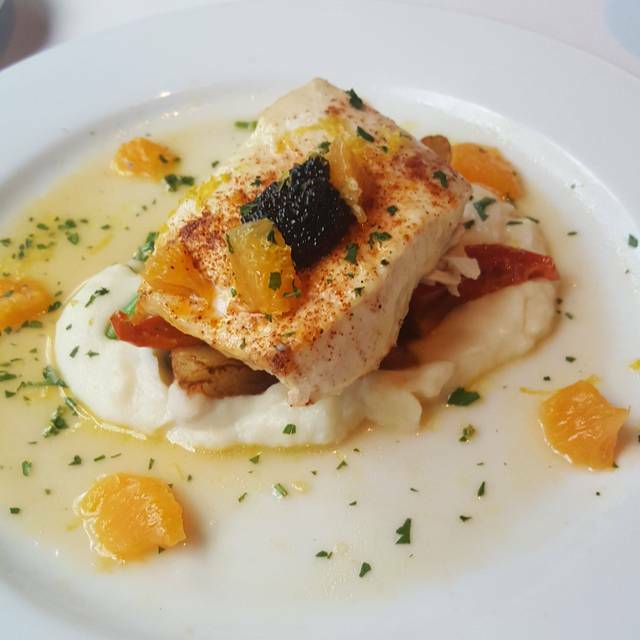 It was flavorful, but we prefer fish cooked through to "moist flaky" not "slimy flaky." Big difference, and it's truly a skill to achieve. (Since both types of fish are typically cooked through, we didn't think we needed to specify doneness, nor did the server ask our preference.) About half of each portion was edible (for us). Perhaps we should have sent them back, but to be honest, I was disinclined for fear of a pretentious chef's temperamental retribution. So, we left the slimy interiors on our plates. The side dish of mac and cheese with lobster was flavorful, and we savored the quality of the cheeses used, but the texture was grainy and sticky, not at all creamy. In conclusion, we came expecting an extraordinary meal, but we left disappointed and feeling more than a little ripped off. For $250 price tag (one glass of wine, one Manhattan), what we got was "meh." Everything was absolutely amazing from the Surf-n-Turk appetizer to my Berries-n-Bubbles! 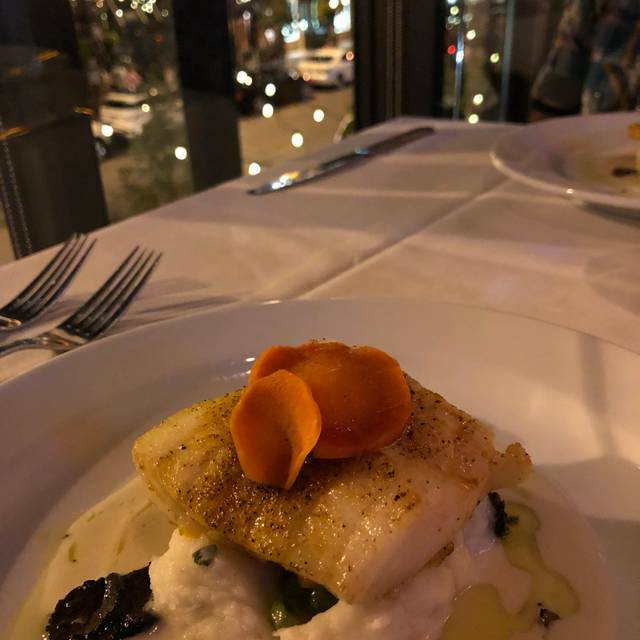 We travel often and always make reservations at a fine dining establishment and we were amazed at the ambience and excellent and attentive service provided. Celebrating my husbands 50th birthday, we decided to have a nice seafood dinner. My scallops were sandy, yuck! The service was ok although I was left with an empty tea glass for quite a long time. We witnessed a waiter and hostess doing inappropriate gestures to each other and over heard their inappropriate conversation, we were there with our kiddos! Definitely not worth the price. The service wasn't as good as we have had in the past. The server may have been busy with a few other tables. We've always had spectacular meals here, but our last trip was unremarkable. Two of four ordered scallops where were, sadly, plain with a giant mound of risotto. Disappointed, but would recommend friends try, as in the past, our experience has been wonderful. Service never disappoints. Thanks to Ethan and Sam. This is a high end restaurant on paper, when you get there it loses it's status. Bathroom was filthy, my husband refused to use it. Seated in a quiet area reservation that was as close to the kitchen as you could get. This gave us the opportunity to see the food plate photos on the wall so they must not of had a chef checking the meals prior to leaving the kitchen. Food was ok but we've had better at other restaurants Spent over $200. Will not be back. One of the best meals ever. Service was great, atmosphere is cool. Had a friend that also went the same night we did- she said the steak was nothing impressive. My party all had seafood and is was all amazing. Cocktails were great. Highly recommend! food is always great, but the service really poor! Our server was awesome,while evening was great! Amazing staff, food and overall experience. This place gets better every time we go. Excellent food and service with a wide variety of seafood selections; sushi and lobster bisque were great. Table was somewhat small for four people but overall service and ambience was good. Plan to come back again when in Denver. Very professional and the service was over the top to make our one year anniversary special. The food and drinks was perfect and what a great selection. Thank you to the entire staff! Ocean Prime was amazing as always! From the sourdough bread, to the crab cakes to the delicious steaks, to the half price bottle of wine and the outstanding service. Would definitely recommend to celebrate a special event since the free desert is truly amazing. Everything was excellent. It’s on the higher end but so worth it! We had an amazing dinner! Everything was perfect. Our waitress Adrianne was wonderful and provided great service. Overall, incredible food and dessert. 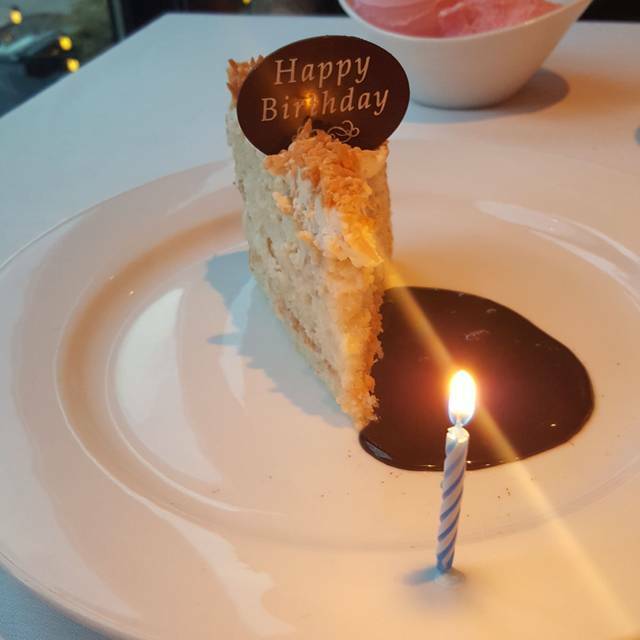 We went for my boyfriends birthday and had a good experience. He got the surf and turf and loved it and I got the Chilean sea bass which was incredible. Also the truffle Mac and cheese was amazing. The grapefruit pear cocktail was top five best drinks I’ve ever had! 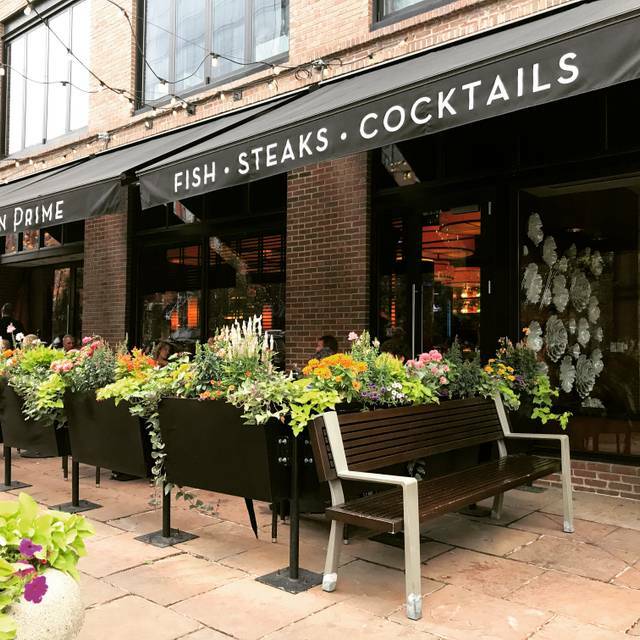 Fantastic downtown restaurant! Atmosphere and service was excellent as was the food and drinks. It's pretty pricy so it will be a bit before we return, but we will be returning for sure. Lovely evening! One of our favorite places for date night! Our server was the absolute best! Made my wife’s birthday experience a great one. We went for an early lunch. They graciously turned down the music some, so we could have a good conversation. The food was delicious, the Riesling was superb and the service was outstanding. Place was really nice but it was super noisy where we were sitting! Service was excellent! I ordered surf n turf but was really disappointed with lobster tail because it was served on top of my steak and it seemed really soggy and had no taste for some reason. The steak was awsome though! Desserts were wonderful! Service was excellent. Treated my young 11 year old like a lady and individual and with tactful patience . Perfect for my mommy daughter date. Great service by Nick! The Colorado bass was amazing. Couldn’t ask for more, will definitely be back!